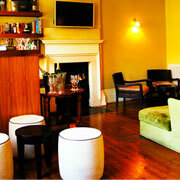 These are venues we have used or can recommend as ideal venues for wine tasting events. We can also recommend venue finding agencies, see the bottom of this page for additional resources. There are a number of venue finding agencies that offer a free venue finding service. They are perfect for larger groups or where you are looking for something special. We suggest Function Fixers, Nice or Venues Event Management. If you are looking for a venue for your conference Venue Plus may be worth a look.